Preliminary investigations at a large railroad yard–which has operated since about 1900–showed the presence of elevated lead and arsenic in soil at four locations. The preliminary investigations were limited to one or two borings per Area of Concern (AOC), so the extent of contamination was unknown. The four AOCs ranged in size from about 2,000 to 70,000 square feet. Before proceeding with remediation, the extent of contamination at each AOC needed to be determined. St.Germain employed Incremental Sampling Methodology (ISM) as a method to evaluate soil contamination over large areas without requiring numerous samples. Each AOC was divided into grids that ranged from 80 to 1,500 square feet in area. 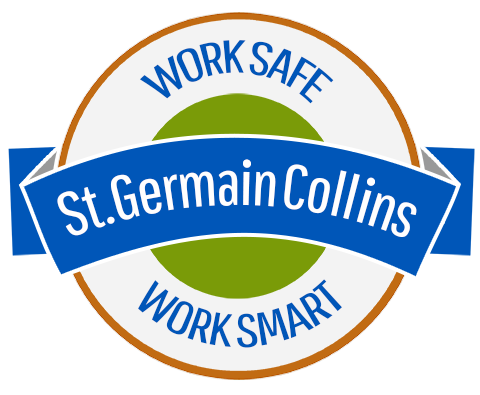 St.Germain used an XRF to measure arsenic and lead concentrations at the ground surface in three replicate locations per grid cell. A total of 372 XRF measurements were collected from the AOCs. – If the UCL95 exceeded the cleanup standard for arsenic or lead, the particular cells that caused the exceedence were identified and the UCL95 was recalculated without the data from those cells. – If the new mean was below the UCL95, those cells were selected for future remediation. -If the new mean was still above the UCL95, additional cells with elevated metals were removed from the calculation until it was below the UCL95, and these cells would also be remediated. This assessment was completed using only field instruments without laboratory analytical costs, resulting in a substantial cost savings. It was also approved by the Maine Department of Environmental Protection.